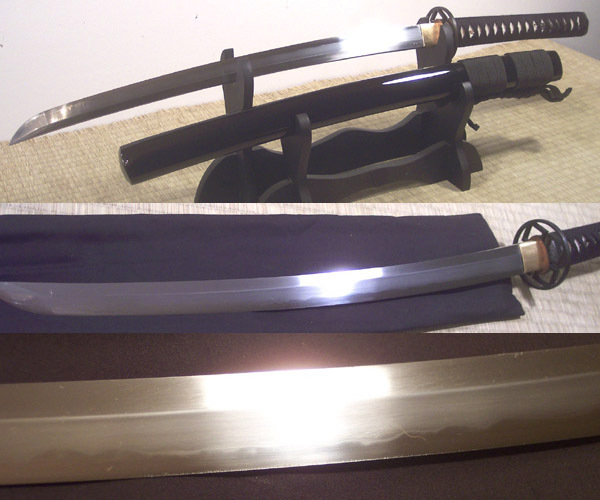 This is the ko-katana version companion sword for our extremely popular Kaze katana with a wakizashi length blade but full length tsuka (handle) for use indoors or in other confined spaces. Material and design made to be a matching set with our black ito version of the Kaze Katana... (NOTE: Current Stock Version is actually Brown Ito to Match the Brown Ito Kaze Katana). Sharpened functional cutter especially effective against traditional targets such as Tatami Omote - it features a 10.5" tsuka and uses double mekugi. Key feature of this particular ko katana is the differentially clay hardened blade with the visible natural hamon as is on our Kaze Katana. As is with our latest version of the Kaze, this sword uses a double mekugi with one being bamboo, and the other being brass for additional tsuka reinforcement – as well as a slightly shallowed same channel and upgraded ito. Fast and lightweight, the reduced length of the blade also makes it a very economical choice for anyone looking for an authentic Katana at an amazing price. 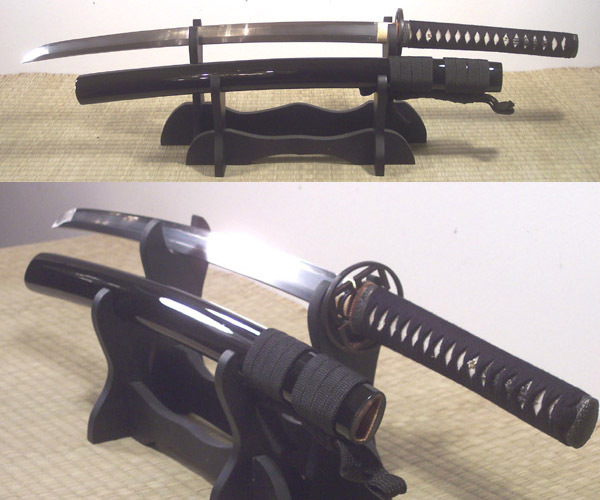 Click here to read the full review of the Kaze Ko Katana on SBG.